My phone and Internet are fixed, yippee just in time for Five On Friday. This week I wanted to share some seeds I am giving a go at growing this year, I do like the challenge of growing something different and unusual. I am also sharing the seeds with a couple of other bloggers so they can have a go as well. The Tomato Tree grows exceptionally fast, and can produce orange / grapefruit size fruit within 3 months of germination. The fruit is picked off the tree more in the manner of an apple than a tomato, producing hundreds of large tomatoes each season. These trees are short lived perennials, and usually last for 2 - 3 years in the UK climate. I don't expect for a moment mine will be anything like the picture. 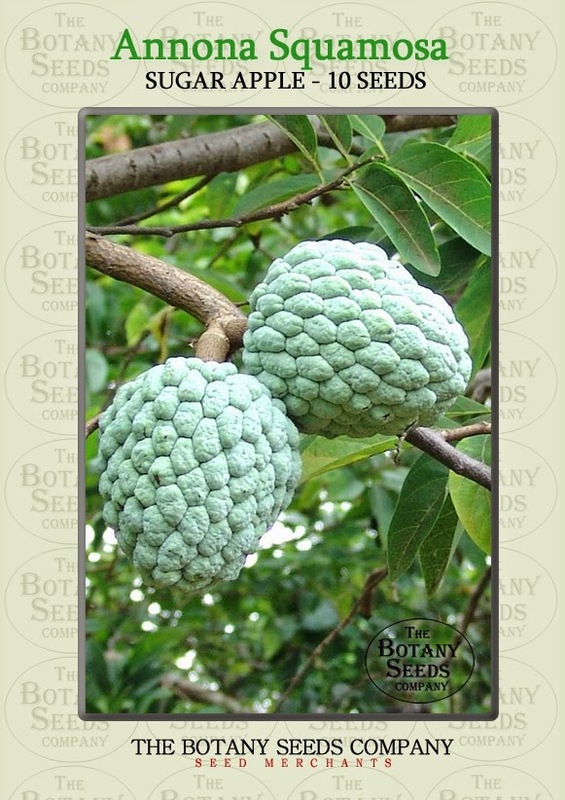 The Sugar Apple Tree rarely grows larger than 15 – 20 ft, but produces numerous fruits from 115 – 675g in weight. The sugar apple, as the name might suggest, produces creamy white pulp with a taste very similar to sweet custard. The fruit is often used in milkshakes, and ice creams; adding a great flavour, and consistency! Now This will be a challenge more of a challenge to get it to fruit. 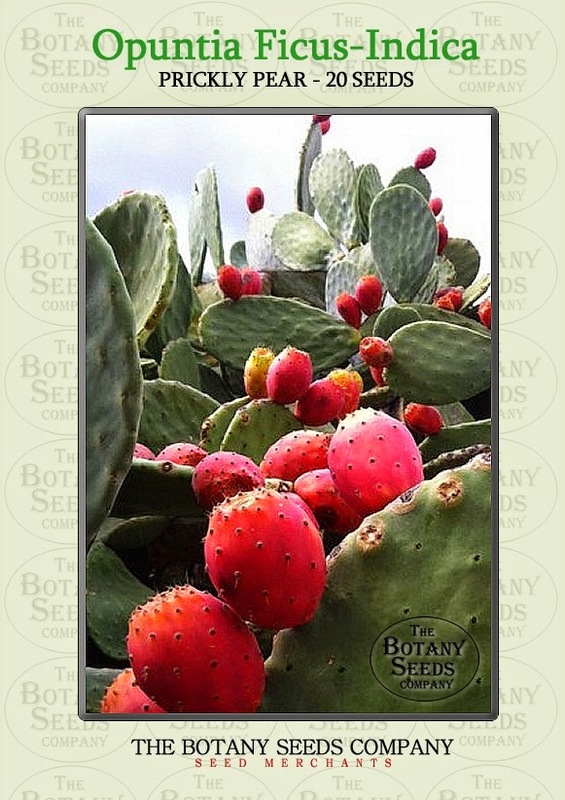 The Prickly Pear Cactus produces one of the most refreshing fruits; tasting similar to a juicy, extra sweet watermelon!! The fruits know as prickly pears, or cactus figs. They can be eaten peeled - or made into jams, and candies. Now I have grown this before and had a lovely plant that was just at the point of fruiting, it was a good few feet tall and every winter I moved it into the porch to give it some protection then one winter that one with heavy snow just before Christmas we were away and I lost my plant. 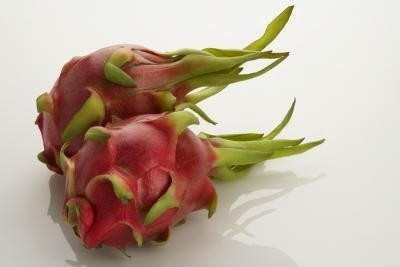 Dragon fruit originated in Central America. Also called pitaya fruit, this plant has been cultivated since the 13th century. Dragon fruit, like other cactus, needs warm growing conditions. When pitaya matures, it makes an excellent eating fruit or component for wine and flavourings. When consumed in fresh or dried form dragon fruit provides carotene, digestive fibre, protein, phosphorus, Vitamin B1, Vitamin B2, Vitamin B3 and Vitamin C.
I already have everyday red strawberries, alpine strawberries and white strawberries so why not throw black into the mixture, I am not expecting them to be a true black more of a dark red purple colour. All this is just for fun and I do like a bit of a growing challenge, even if they don't get to the fruiting stage just getting them to grow will be a success in my book. Many Thanks to Amy for organising the Five on Friday pop over to her blog and see who else is taking part. I have had prickly pear in Spain, very refreshing. It's nice to have a challenge, my avocado is almost 2 foot high, but I could do with a bit warmer weather for it. Glad you are back connected to the world. Wow, such exciting things to grow, I hope they work out well. I'd never heard of the first two, or black strawberries! Enjoy. I like the look of the giant tomato tree, also the black strawberries. Interesting seeds there, keep us posted how they get on. I did try the giant tomatos, I got giant tomato plants but only one fruit. Oooh, can't wait to see your fruit, guess you can't either! Good luck! P.S. I looked on that site for black strawberries but didn.t find them. Just a thought about the white ones, keep them well away from the red one's, I had some of those but put them all together and they got cross pollinated and I ended up with all red ones ! Good luck with those seeds. I'm a seed collector and recently did a post all about it on my site. I'm visiting from 5 on Friday, where I've joined for the first time this week. You are very adventurous! I don't think I even heard of any of the plants you are growing this year. I like the idea of a tomato tree and black strawberries! Wow, impressive things to grow. 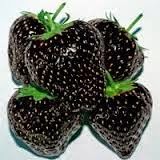 I have never come across black strawberries before, I will be interested to see how they develop. Black strawberries? I saw some lurid purple and bright blue ones over on Ebay (coming from China, so poss. Genetically Modified?) That Tomato Tree sounds wonderful. Never heard of that before. I hope the Welsh weather is kind to us this summer and you get yours growing well. I'd love to see a pic of a huge tomato tree, hope it goes well. In my part of Australia we have prickly pear growing everywhere and it is a pest and it takes over. At the moment they are all fruiting and vibrant red. Be careful eating the fruit as they are covered in horrible fine spikes . My dads first taste of a prickly pear fruit left him with spikes stuck in his tongue , dreadfully hard to remove. This was such an interesting post to read. We have prickly pears growing wild here in Southern California. I am so sorry to hear you lost yours to winter's harshness. Hopefully you can grow lots of fun fruits this summer.